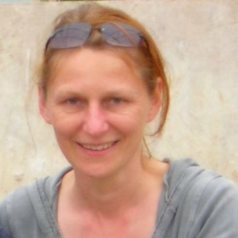 Caroline teaches across a range of horticultural disciplines which include plant identification and knowledge, botany and soil science, plant propagation, arboriculture, maintenance of ornamental plants, fruit and vegetable production. She has been involved in a the preparation for and building of number of show gardens involving student groups. These have included silver medal winning gardens at Gardeners World Live and the gold medal winning Shetland Croft Garden at the Chelsea Flower show in 2008.